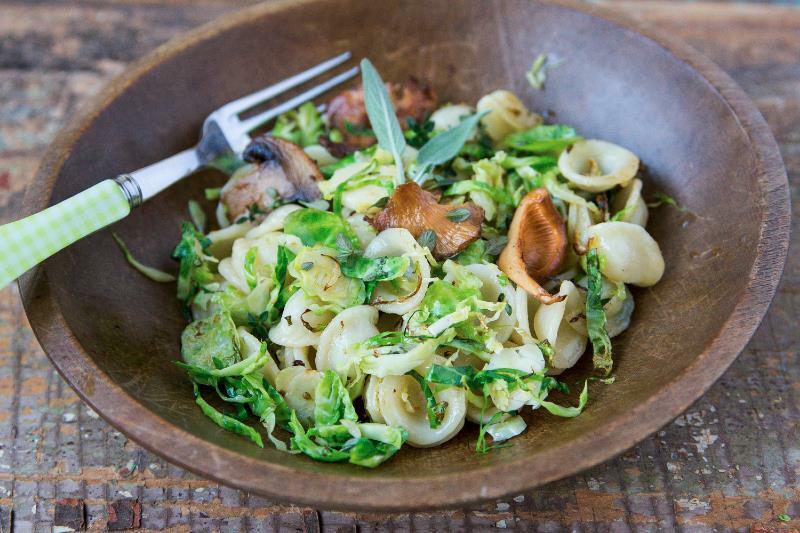 Brussels sprouts and mushrooms make a dynamic duo in this seasonal pasta dish. Orecchiette, the tiny ear shaped pasta, works well here as it doesn't overwhelm the thinly sliced brussels sprouts and mushrooms. And besides, they're cute. Sigh, summer's over. The days are getting shorter, making it so dark in the morning when I awake. Move over salad, this season calls for a heartier dinner. 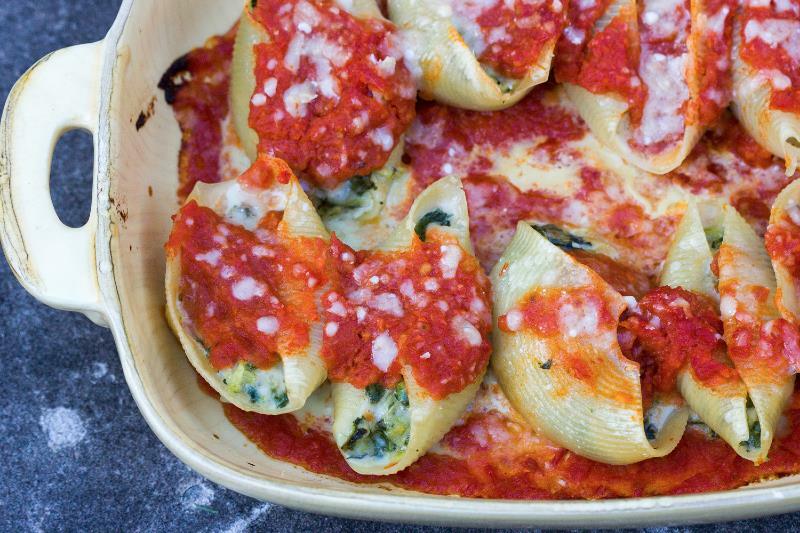 Pasta's my first choice, and I love this recipe because it has healthy vegetables tucked into the pasta. Add some gooey cheese and a light tomato sauce...perfect! As an added bonus, you can assemble this ahead of time, then just pop it in the oven when you're ready to bake. We're only a month into summer and it's already a scorcher. When the heat is on, a piping hot meal just won't cut it. It calls for something cold yet satisfying, like this pasta salad. I like that it's a complete meal in a bowl: shrimp, vegetables, pasta, and greens. 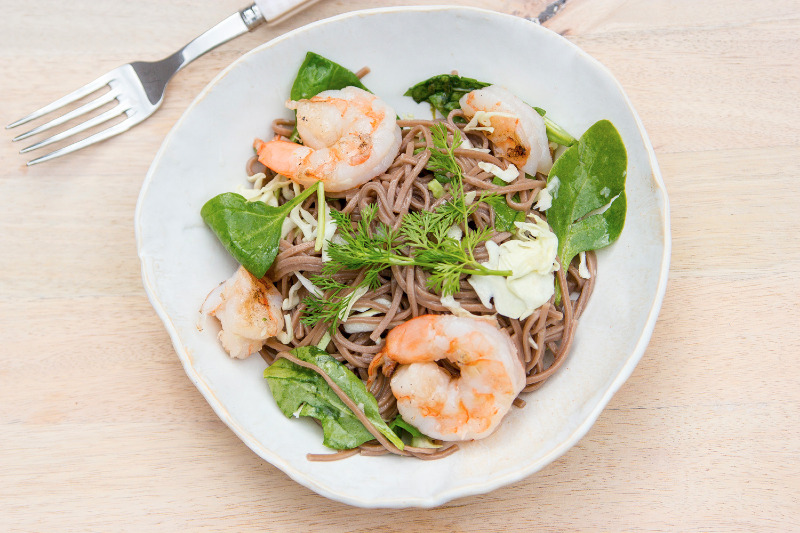 The soba noodles add a nutty, earthy flavor and it's tossed together with a flavorful Asian style dressing that contains only 3 teaspoons of oil. Perfect for a hot summer night.